The Butterfly Extra series is a 36″ AO paper fold machine integrated to the HP solution Designjet t7100 printer to the scanner SD36 for copy, print and fold unattended operations. 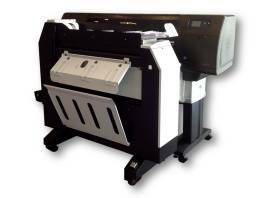 The Butterfly Extra wide format finisher introduces patent technology enable the folder speed to be synchronized to the variable print speed and dried ink drops before the fold process; these are weakness of other solutions where is possible to have the folder tearing the copy or paste ink. The ease of use, limited footprint and the a complete integrated solution of printer, folder and RIP are now the best solution available in the market to handle large print jobs and improve the efficiency of the press center. 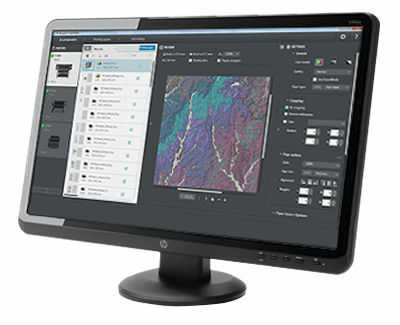 12 fold programs remotely selectable by printer user interface in order to fold any wide format document into final A4 or A package size, full automatic Wide Format solution able to print, scan and fold any documents with a simple click, no more paper waste and print on wrong media roll. Automatic error detection, automatic end of roll job recovery, bin full recovery. The folder stops print process automatically in case of jam and error without extras as RIP and PC on site. High folding quality even with full color images thanks to the dry embeeded folder system , powerful fold engine for high reliability and productivity,the folder is extremely during the operation only 59 decibel perfect for office enviroments. High fold precision for long plots.